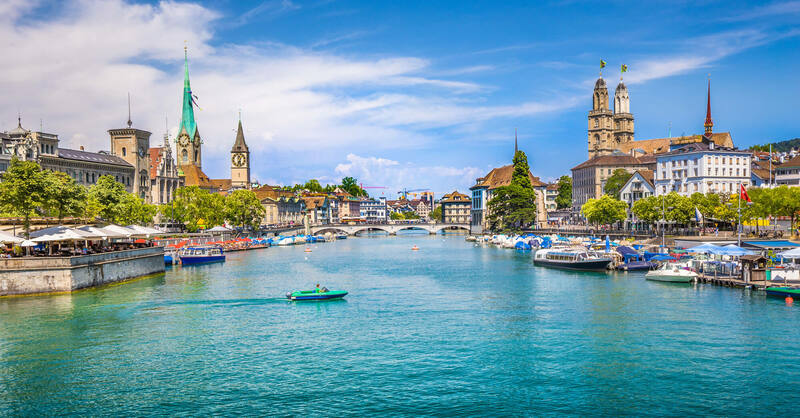 Panoramic view of historic Zurich city center with famous Fraumunster, Grossmunster and St. Peter and river Limmat at Lake Zurich on a sunny day with clouds in summer, Canton of Zurich, Switzerland. 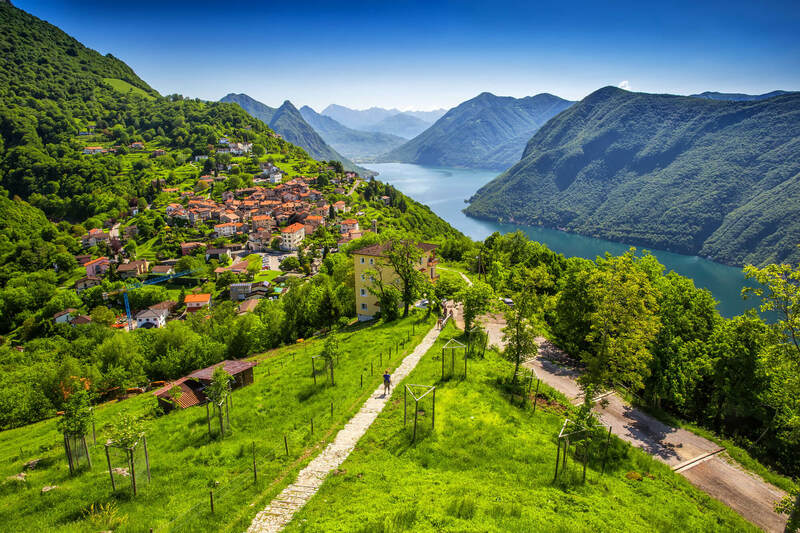 View to Lugano city, Lugano lake and Monte San Salvatore from Monte Bre, Ticino, Switzerland. 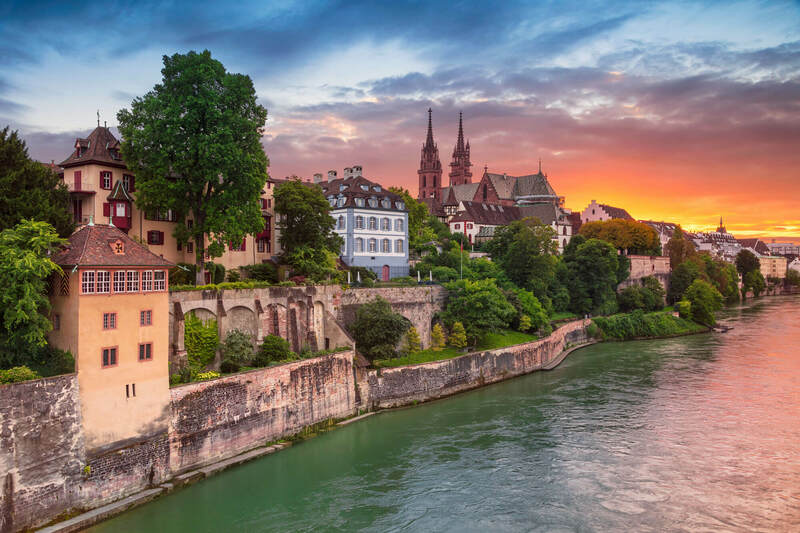 The Old Town of Basel with red stone Munster cathedral and the Rhine river, Switzerland, in dramatic sunset light. 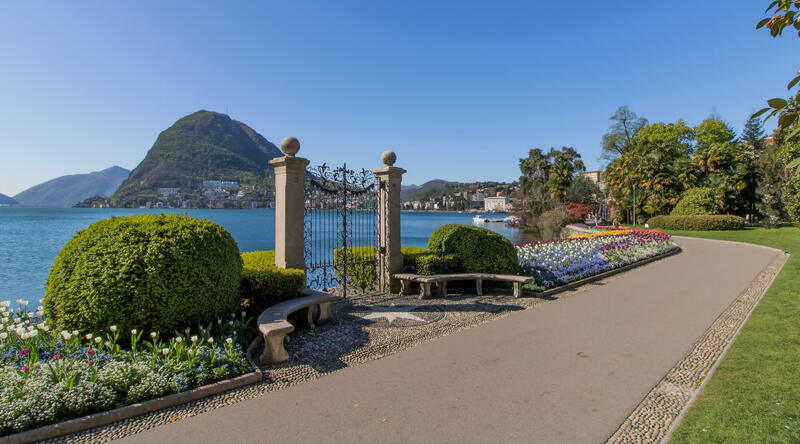 Lugano Switzerland, Park Ciani, Lake Lugano. 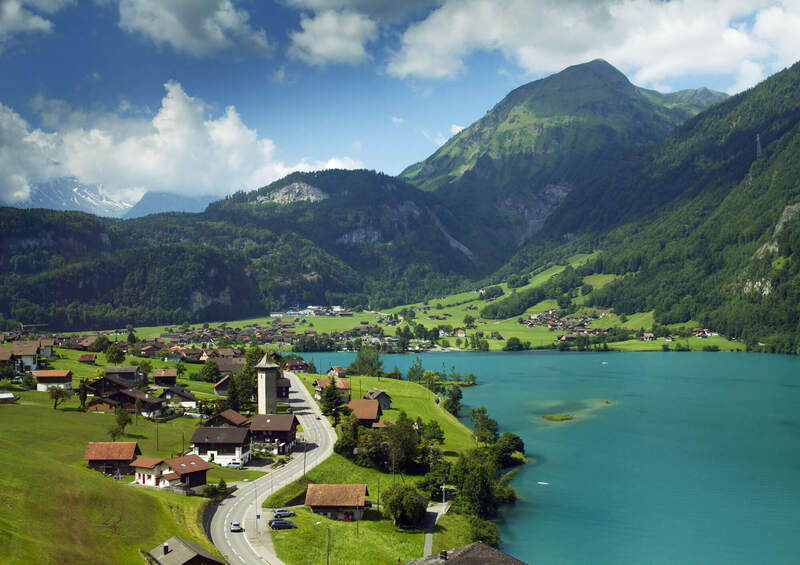 Amazing tourquise Oeschinnensee with waterfalls, wooden chalet and Swiss Alps, Berner Oberland, Switzerland. 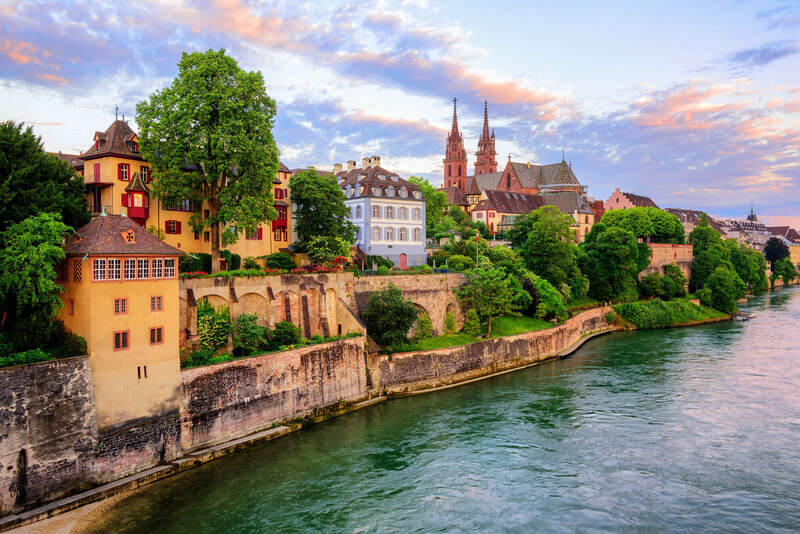 View of the Old Town of Basel with red stone Munster cathedral and the Rhine river, Switzerland. Basel, Cityscape image of Basel, Switzerland during dramatic sunset.